Norway's awesome scheme recycles 97% of all plastic bottles. When it comes to recycling plastic waste, Norway is ahead the pack. In fact, the Scandinavian nation has virtually lapped the rest of the world. Norway has created one of the most efficient and environmentally friendly ways of recycling plastic bottles Results are so impressive that many nations are following suit, including Australia! According to The Guardian, Norway has recycled 97 percent of all its plastic bottles. Just 1% is ending up in the environment. 92 percent of the bottles recycled yield such high quality material plastic that it can be recycled into new bottles. The system has sometimes already reused the same material more than 50 times. I's a remarkable achievement when you consider the global situation. 91 percent of plastic produced isn't recycled, and 8 million metric tons end up in the ocean every year. In the US, the recycling rate for plastic bottles is around 30 percent. In the United Kingdom, it's somewhere between 20 and 45 percent. So what is Norway doing differently? To put it simply, the nation has given recycling a value it didn't once have. Nowadays it's often cheaper to create new plastic than it is to recycle old plastic, so without a financial incentive, why would companies and consumers bother to do the right thing for the environment? 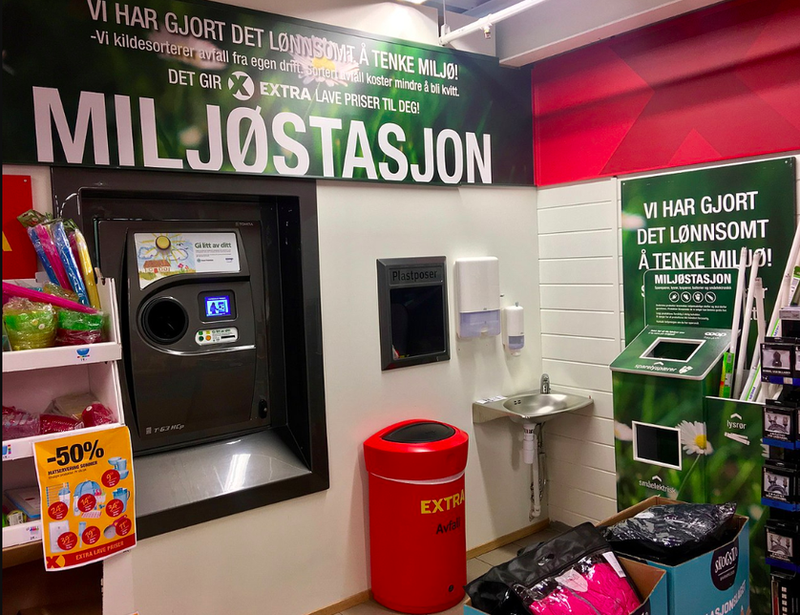 Norway's model is based on a loan scheme, so when someone buys a plastic bottle, they pay a small additional fee equivalent to about 13 to 30 US cents. This fee can then be redeemed in a number of ways. Anyone can either take it to a 'reverse vending machine' which returns the money after scanning the barcode of the deposited bottle, or it can be returned to various small shops and gas stations for cash or store credit. These shop owners also receive a small fee for each bottle they recycle, and some argue it has even increased their business. "We want to get to the point where people realise they are buying the product but just borrowing the packaging," Kjell Olav Maldum, the CEO of Infinitum, told The Guardian. It's not just consumers that the government is targeting. The country has also put an environmental tax on plastic producers – one that can be reduced with greater improvement. If recycling is above 95 percent nationwide, then every producer, no matter what, is exempt from the tax. Is that too tough? Obviously not, because it has been reached every year for the past seven years. Germany and Lithuania are some of the only countries that can compete with Norway, and they both use similar systems. Nevertheless, even in Norway, there's still room for improvement. This year, Infinitum estimates that 150,000 bottles will not be returned, and if they had, it would have saved enough energy to power 5,600 households for the year. A VERY good reason to recycle. The Hydroxyl Radical: Friend or Foe?